Tired of fine lines and wrinkles? 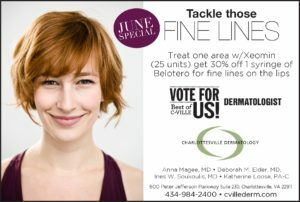 Treat yourself to Xeomin and then get Belotero for the lips (or other area of your choice) at a $180 discount. What is Xeomin? Like Botox and Dysport, Xeomin is an injectable neuromodulators, meaning it temporarily alters the nerve impulses of targeted muscles (for instance, those on the forehead on the ones between the eyebrows), therefore reducing or eliminating contraction-induced wrinkles. What is Belotero? Belotero is one of the lightest dermal fillers on the market. It is ideal for someone who wants to reduce fine lines around the lips, corners of the mouth, and minor marionette lines (the lines from the corners of your mouth down toward your jawline).